This study researches on the financial development and economic growth in Pakistan. The study demonstrates the correlation connecting financial development and economic growth from the range of time, 1974 - 2014. For checking the stationarity of variables, Augmented Dickey-Fuller (ADF) and Philip-Peron (P.P) unit root technique is applied. To elaborate long-run relationship, ARDL (autoregressive distributed lag) and Bound test is conducted. By ARDL technique, study investigate that Gross Domestic Product, Money supply, Exchange rate, Gross fixed capital formation, Domestic Savings and Trade Openness are assimilated. According to research findings: economic growth directly related to money supply (M2) and domestic saving in long-run but money supply illustrates insignificant impact. The study uses GDP as endogenous variable and represents Economic growth. While M2 as exogenous variable which represents financial development and financial liberalization. Current researches seek to establish direct relation of economic growth with trade openness and money supply. Pakistani researchers aim to examine the association of economic policies with financial satisfaction over the globe. ALI, Hina; BHUTTA, Zahra Masood. Financial Development and Economic Growth Nexus in Pakistan: An Analysis of Bound Testing Approach. 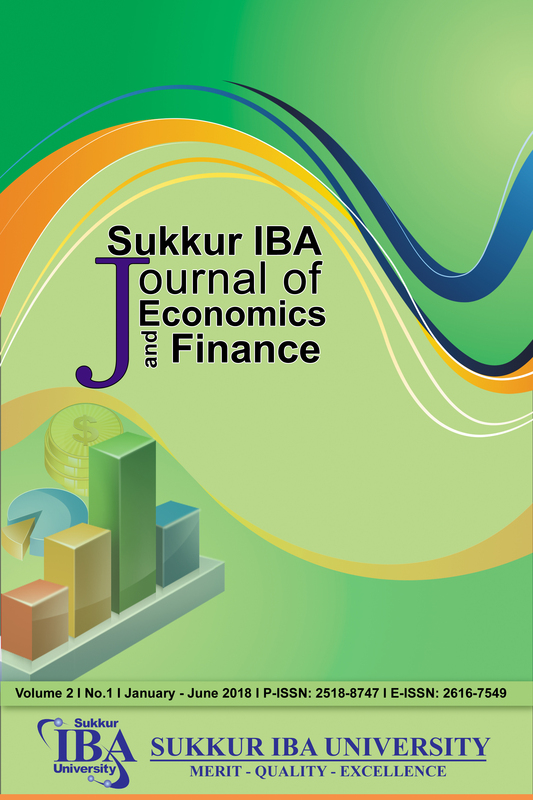 Sukkur IBA Journal of Economics and Finance, [S.l. ], v. 2, n. 1, p. 10-35, sep. 2018. ISSN 2616-7549. Available at: <http://journal.iba-suk.edu.pk:8089/SIBAJournals/index.php/SIJEF/article/view/199>. Date accessed: 20 apr. 2019. doi: https://doi.org/10.30537/sijef.v2i1.199.